Today’s tale is taken from an online forum. The author, an American married to a Kiwi, gives her opinion about how expensive New Zealand is. Many immigration sites manipulate material to present what appears to be a ‘balanced’ view of New Zealand. Bear this in mind, immigration sites exist solely to make money from migrants. E2NZ.org doesn’t make a cent and never will That’s why you’ll always get the truth here. I’m American and my husband is a Kiwi. We lived on and off in West Auckland, NZ for the past five years. At this point we have given up and are staying stateside for now. BUT it’s different when you’re not there on vacation. It is very expensive and difficult to make real money there in order to save up or get ahead. Anyone looking to relocate there needs to do a lot of research and have a huge nest egg. NZ is a fantastic place to raise a family or retire…. if you’ve already got money. But nowhere is a fantastic place if you’re struggling. The rents and housing prices in Auckland are astronomical compared to wages. Our rental in Glen Eden was $400NZD/week for a small 3 BR. The quality of the rentals there is very poor. I don’t know how people working on average wage do it. Wellington and Christchurch aren’t much better and these three areas are pretty much where all of the actual professional jobs are located. We’re not the only ones that had to leave NZ to make a living. A lot of younger kiwis leave to go to the UK or the US to work and travel. A lot of them don’t come back. My husband’s family members and close friends are scattered all around the globe from Hong Kong, Amsterdam, Scotland, Canada and here. Very few are actually in Auckland. We have to coordinate our vacations so that we all meet up there. Most of the problem is that it’s very isolated, so it’s very expensive to get cargo shipped, and there’s not a lot of competition there. It’s such a small population. There’s more people in Nassau and Suffolk County in Long Island, New York than the whole country of New Zealand. Also I noticed while I was there that there just isn’t the energy or drive to innovate or “do more” there. I didn’t feel like there was any spark there. Kiwis are perfectly happy to make do. “Whatever bro”…chill out, drink some Steinies, and watch the rugby. They are ingenious in their own way, to make things work for them personally. But few have any interest in making any kind of business, investing or becoming entrepreneurs. All the dairies and small shops in Auckland are owned by immigrants. (The immigrants from India are having a field day there.) Kiwis are very easy going and friendly, but overall are not a bunch of go-getters. It’s just not valued in their culture. They like everyone to be on the same level, they don’t reward achievement. Anyone who’s a “tall poppy” get cut down one way or another. I don’t know how it got to be like that, but it’s a shame because it’s what is going to hold them back. It forces the ones that actually do go into business to squeeze every penny out of every customer. I have never been so nickle and dimed in my life. This is also partly because Kiwis are very cheap as buyers. They have no interest in buying quality, only what’s cheap and will do the job for now. If an item is better quality and will last twice as long but it’s 20% more expensive, it won’t compete with the cheaper alternative. Part of this is that Kiwis don’t have money to spend, part of it is just the mentality there. Consequently it’s very difficult to do business there, the chinese make out like bandits exporting there. Just Google “Kiwi” and “No. 8 wire” and you get a better idea of what I’m talking about. It’s very difficult for Americans and Europeans to relocate and be happy over there without having a good idea of the sacrifices involved with living in such an isolated country. Not only will you take a 50% pay cut, the retail there is *god awful*- just a bunch of cheap stuff imported from China that breaks in a few months. And then has to be duct taped together. With cheap chinese duct tape. Sheets and clothes are polyester, towels are thin and scratchy, everything’s plastic, kid’s mattresses are foam. Seriously, yellow foam like you’d get in outdoor furniture cushions. Furniture is particleboard, appliances are 10 years behind, and nothing comes with any kind of warranty. It’s horrendous. And what they charge for this stuff is insane. It often costs me less to buy quality stuff in America and import it than to buy it in NZ (if I can even get something of similar quality – which is rare.). Electronics are a hassle because they’re on 220V there. I haven’t figured a way around that one yet. It would probably be cheaper to buy an appliance and have it re-wired in the US and shipped. It’s crazy. The average housing in Auckland was of very poor, cheap quality. Nothing’s insulated, no central or baseboard heat, single pane windows, cheap carpet and linoleum, mold all over the place from condensation from LPG heaters, cracked and warped sheetrock/gypboard from moisture damage, no such thing as a dehumidifier. Even the newer houses were super-inefficient, wasteful, environmental nightmares. They might not get snow in Auckland, and it rarely gets below 40 degrees for long, but the rain and the humidity is unrelenting. Yet nobody builds for that. What passes here for adequate is like 5 star accommodation there. The lots are small because everyone has subdivided the place to death so you’re right on top of your neighbors. Honestly, I didn’t like Auckland at all. And all the other urban areas are just the same. Once you get out in the country where you could breathe a bit, it’s a different world. The taxes there are also high, but not really much higher than in NY or VT (not that that’s saying much) but you get full socialized (OMG the horror) health care and a lot more social services there. (You can also get private insurance there, and the situation is completely adequate. Don’t believe the FOX news hype.) Maternity leave is paid, and there are child subsidies and all that. But the bad thing about having such good social services is that it attracts people who game the system. There is a large percentage of the population that is on the dole there- the majority of them are rural people and some of the native Maori population who have fallen behind socially and are having health, social and education problems… and then go and have 5 kids to make it even better. It’s a very difficult unique situation. Although I do believe that there is existing prejudice against the Maori population, a lot of the troubled ones don’t avail themselves of the massive amount of programs available to get an education and do better for themselves and their whanau (family/tribe/group). And there is really no excuse because there are plenty of upstanding, motivated, super-bright Maoris there that have done really well. The lazy ones give the good ones a bad rap. **** is right. We pulled all our money out of NZ when the US dollar was weak and the NZ dollar was .81 USD a few months back. We won’t be sending any money back until the Kiwi dollar goes below 0.60 cents American. And we certainly won’t be going back for more than visits until we can afford to semi-retire there. Rip-off indeed. Unfortunately it probably means RIP for the economy there at some point, unless they do something to promote massive investment and economic development. I returned from living in Canada ten years ago but have lived in Australia and the UK. The comment that NZ is great to retire in is reasonable but immigrants trying to make a living and losing their skill set is not good. Downright depressing. Mr James Cameron the film director seems to love us but probably has the resources to move about the world as the opportunity arises.Just do not mention Peter Thiel. Sad to say, you are spot on but New Zealanders are generally unable to see the limitation of the education, health care, innovative ways learning from other successful nations to be stronger business people and yes I yearn to hear PBS and Radio Canada. Pandering to our Maoris and Pacifica is not helpful. Could go on but absolutely agree about the appalling building of homes that are cold and damp. We have spent an incredible amount making our home pleasant. Yes, we live in a beautiful land but somehow the I.Q. needs serious adjusting. Have been seriously thinking about Denmark? I’m an American in love with a Kiwi man (and he with me, thank goodness!) and I have been seriously considering making the move to NZ as he continues his schooling. He will be done next year and then will begin job hunting — but he himself is not convinced he will stay there. He has been politely discouraging me from making any big move from the states to go there. He wants to wait and see what job opportunities will be in front of him before he makes any drastic moves, as well. Coming to the states is not out of the realm of possibility for him so he is just asking me to be patient. And after reading all of the comments in this thread, I think I now have a better understanding why he has been discouraging me!!!! Looks like I need to do a ton more research. We have only met up in Europe and I have not yet made the visit to NZ. Maybe a month-long visit will be in order just to see if I can embed myself in the culture to really understand it. Thanks to everyone for their input. Very wise words from E2NZ – do not come to live in NZ for any period of time with children or have children here. You will be stuck if your relationship fails. There are a lot of ‘stuck’ parents in NZ that cannot leave, many not even for a holiday with their children. We just bought oceanfront lot in northland ,we are excited about building and moving .as retires we were planning on trying to get residency but it’s too much money to buy are way in..( and agree it should be) . 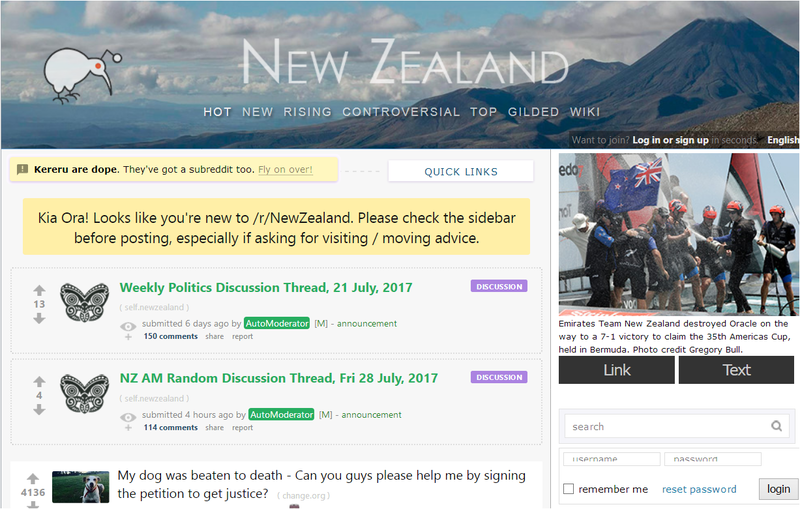 We’ve been visiting NZ for nearly twenty years.,and we have experienced everything all of you have posted. We love it … and people and our community has develop expat click we been invited to be part of ..so there are ways . Good luck with moves . This is 100% accurate…I’m an ex pat kiwi. My Swedish wife wants us to go to nz but she does not understand its the most expensive country…to make ends meet you have to use the benefit system both have to work. I lost my entire career, my life and my friends because of our abrupt move immigrating to NZ. My wife was lucky enough to find a good job and to make a new friends, from Europe mostly. Me, I just stay at home, run my small computer business and watching my 20+ years IT experience going down the toilet. Suddenly, from the guy who had lots and lots of job offers and a very attractive salary with all imaginable benefits including Platinum memberships and Sapphire cards, I became a “techie guy” who “fixes viruses and makes cool stuff in the web”. I use my numerous qualifications, certificates, and Uni diploma as a decoration in my living room now. Be careful what you wish for. The sea is beautiful, though, and I really like people here, although they’re not very comfortable with my accent. The life is not fair, I accepted that. Totally agree, was recently in Auckland (November 16), prices are crazy 2.79$ (1.20£) for a cucumber as an example! I grew up in Auckland but left for London 1995, nearly all of my kiwi mates live outside of kiwiland. The few who stayed are either filthy rich or on P.
It’s a beautiful place, the real locals are cool but it has no soul anymore no punch no direction that’s obtainable, and the Maori want a dollar for looking at something they believe is theirs. 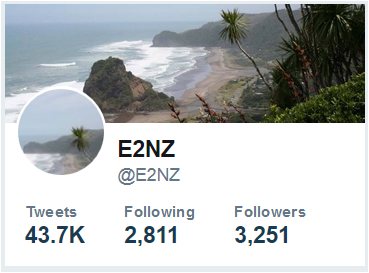 Visit please, forget living there unless you love astromical prices, terrible traffic a liberal soft government (7 years for 1st degree murder) and after a long flight to Auckland airport been hassled by customs officials because your bag once had a banana in it. It’s cheaper or parity to buy nz exports in London than in Auckland, crazy. Still l’m told inflation has not hit the weed market so if pure mind destroying swag is your go to, then you’ll be off your bean cheaply (until you get the munchies). If you want to escape nuclear war or creditors then it’s the place to be, but just remember it’s a long swim to Australia if your luck runs out in the land of the long white cloud. If it’s a 50% pay cut, it’s a 100% pay increase if you recover it. Just to be accurate. Can’t agree more on the dressing sense. If the government taxes people for their jandals, shorts and that “supa” ugly ‘black shirt – black trousers’ then trust me – no one will ever have to pay any other taxes. Oh my god you’re a bunch of whinging people. No we don’t like arrogance and we don’t reward it. Americans have a love affair with capitalism and am shocked that New Zealanders don’t, in other news water is wet. Pulling someone up on their grammar and telling them that they are most likely a product of New Zealand schooling is both elitist $hi7ty behaviour and arrogance at its best. Also, what was worse is that you made a spelling error not but three words after. New Zealand is expensive, that is without a doubt the most accurate statement you can make. It’s also hard to earn money. A lot of the lifestyle here isn’t about earning the most money or having the most (another inherent American trait, not necessarily bad but definitely American), we’re not inherently a society that strives for that. This country has always worked on the basis of living a good life with what you have. Their is a lot of people in these comment section whinging about immigrants (ironically not taking into consideration you’re own immigrant status) whinging about New Zealanders being two faced? I mean, to even say that would require a vast knowledge of every New Zealander that resides in New Zealand and speaks. That seems highly unlikely. Next, some of these experiences seem like something you should be reporting to the police. Like I would love to know more about the shops where checkout operators are ripping you off?? Can we have store names so we can investigate this because never in my life has that happened and I worked in a supermarket when I was younger. Here’s a perfect solution for you, if you aren’t happy with our lack of innovation or the dairy owners that are Indians or the Chinese (please correct me if I’m not picking up on racist undertones, ironically someone tried to say that a kiwi was bias against Americans yet didn’t mention the blatant racism in the OPs post) or you don’t like the housing (because you’ve also checked all the housing in New Zealand and are backing it up with proven research) then by all means, please go back to your country and let in some immigrants who actually want to be here in. So typical of kiwi aggression and ignorance. Indeed, we are taking your advice mean guy, and leaving in 2 weeks!! BTW- I have Chinese landlords and neighbours they are so gracious, refined and kind. Unfortunately, the next door neighbours, kiwi born, are racist and nasty. They sound a bit like you mate. Too bad. See ya! “Alex b” – The whole effing country is full of arrogant people, your comment actually proves every single word people have been complaining here all this while. “This country has always worked on the basis of living a good life with what you have.” – REALLY?? There are suckers in the property market just minting out money like anything. Why don’t you give this lecture to those greedy scumbags that are buying houses and keeping it empty for months & months. The so called “housing crisis” is a big BS and artificially created phenomenon to fool the tax paying immigrants for paying higher rents to landlords like yourself. If you can’t empathize with situation & challenges others have faced or have balls to change that “stale” way then better stick to your “NZHerald”, “Stuff” or “TradeMe” community groups. Why is it difficult for you to understand that the cycle of “new immigrants coming into the country and the old ones leaving after facing the racism, losing money & careers” is the cause to have a forum like e2nz. Another word of caution – it so appears from your moronic comment that you are feeling a sense of ownership on “immigrants” -> So, you see the problem!!!!! One more thing, immigrants are not moving to New Zealand to eternally pay for your cold, damp & downtrodden houses OR get abused/robbed and ill-treated by people like you, immigrants are risk entire family lives & future prospects to find “that” peace & 100% pure nonsense that’s advertised in glossy magazines at exhibitions & seminars all over the world. You give people their lost time & money/career etc and I’m sure all the “whinging” lot will make you their God – if you can’t then STFU and advertise your kool aid kit at some other forum. PS – You can’t run the country just on the “beauty” carrot for too long. You guys have no idea how grateful I am by reading this loooong post, and I just wish anybody can direct me to similar posts/links to how American/English people feel after they move to Australia or Canada. The more informative the better! Perhaps you may consider checking your facts about what other countries offer in terms of social services before you embarrass yourself further by being misinformed. The US does have a welfare program, as well as subsidized housing and medical. The difference being that it is intended as a safety net, not something a family is to rely on for generations. It is no secret that generations of families living on social benefits is a real issue in NZ. There is also a public education system in the US. You say the NZ education system is cheap, perhaps one really does get what they pay for. Are you aware that there is a huge illiteracy and numeracy problem in NZ? Are you aware that this problem exists even for those who have gone through the “cheap” Kiwi education system? Do your research, it is true. I have no idea what you are talking about when it comes to clean air. I live in a very nice neighborhood, pay over-inflated prices to do so and my neighbor burns friggen coal to stay warm in the winter. Coal, intended to be burned in fireplaces, is sold at Bunnings!! Yes, a black plume of coal smoke billows out of my neighbors chimney stinking up the entire block. If my cat sits outside for 30 mins in the winter, he comes in smelling like coal smoke!! Auckland has clean air because of wind currents, not because of government action. Research it. Are you aware that your government is bringing skilled workers to NZ because the skill and education level of the kiwi population is too low to compete globally? Left to it’s own devices, with it’s fabulous laid back mentality, social housing, cheap schools and socialized medicine, NZ would not be able to compete in a global economy that is technology driven. Yes, your government is strategically bringing in skilled immigrants to bolster your economy. Immigrants are little tax satellites for NZ, we even pay your government/you, taxes on income we earn in our home country. Yes, there are countries much poorer than NZ, and we have much to be grateful for indeed. You are fortunate to live in your state home with state sponsored air con and insulation and I am fortunate to make enough money that I pay 30k a year in taxes for your state housing. You may consider being a bit kinder to immigrants who come here with skills that Kiwi’s lack and bolster your tax revenues which are used by kiwi’s either less fortunate than us or simply less motivated to earn their own living. Somebody has worked hard to make your life so pleasant. As time goes by, it is more likely to be an immigrant than a kiwi! “Tax paying hard working immigrant” – I echo your sentiments on this, the rotten system here – it’s nothing less than crap. In the past 6 years I have paid over $210,000 just for tax and I still live in a overpriced rented house in Auckland. I never took any unemployment benefits when I was out of work for 9-10 months. Trust me there is no incentive for hardworking people here. At the end of the month, I’m left with little over $200 as savings, which eventually burns out for emergency expenses (for doctors, fuel, other unforeseen expenses etc), we hardly eat/drink out. Our daughter (in her 20’s) doesn’t get any benefits/living allowances because one set of parent earns way too much according to the government. It is such a shame that immigrants are seen only as “money minting machine” by the government to fund for poverty of “lazy” morons and “child making drums” in South Auckland. My blood boils every time I drive down to South or West Auckland between Thursdays to Saturdays. There are constant police chase, rowdy behaviour from these islanders, fights on the streets, risky driving on the roads. I wish I never made the move from UK to here – this is not the paradise which we were sold. I wish people research and read authentic experience (like on this website) before making any decisions to uproot entire family, relationships and moreso peace of mind.